Federica Infantino is a Post-Doctoral Research Fellow at the ULB (Université Libre de Bruxelles) and teaches the course “Border and Migration Control” at the Institute for European Studies, ULB. Her project “Practicing Immigration Detention and Deportation in the EU. Actors, Organizations, and Transnational Policymaking from Below” is funded by the Belgian Fund for Scientific Research. Her main research interests focus on the actors and the organizations that put migration and border control into practice, the transfer of practice, and the involvement of non-state actors most notably private companies. Her research aims at illuminating migration and border control on the ground. While migrants’ motivations, itineraries, and incorporation occupy the stage of scientific research, those who manage international population movements tend to receive less academic attention. Previously, she has studied the implementation of EU visa policy in Morocco, using a comparative perspective that she pursues in her current project. Federica holds a PhD in Political Science, Comparative Political Sociology, from Sciences Po Paris and a PhD in Political and Social Sciences from the ULB. 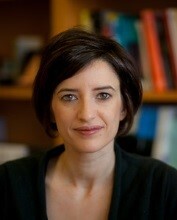 She has been a visiting fellow at COMPAS, University of Oxford, NYU, and UCLA. She has recently published the book “Outsourcing Border Control. Politics and Practice of Contracted Visa Policy in Morocco”, Palgrave MacMillan (https://www.palgrave.com/de/book/9781137469830) and co-edited the 2014 Security Dialogue’s special issue “Border Security as Practice” (http://journals.sagepub.com/toc/sdi/45/3). Beyond engaging with the practitioners she meets in fieldwork settings, Federica is committed to diffusing research through arts as exemplified by her contribution to the 57th Biennale in Venice (http://www.theabsenceofpaths.com/commission/the-uncertain-path-to-europe).